In the 1970s, whether you were looking for sundries to stock up at home or a cool sng bao [ice popsicle] on a hot day, all you had to do was drop by a chap he diam or ‘mama shop’ [small provision store] near you. Some were located right under HDB blocks, at the void decks, providing unparalleled convenience to residents in the heartlands. More often than not, store owners knew residents by name, and vice versa. But as gleaming air-conditioned, 24-hour supermarkets began creeping into housing estates island wide, these family-run provision shops have dwindled in numbers. A shrinking client pool, limited economies of scale for the products they distribute and rising operating costs means that traditional convenience stores are slowly turning into quirky heritage icons. 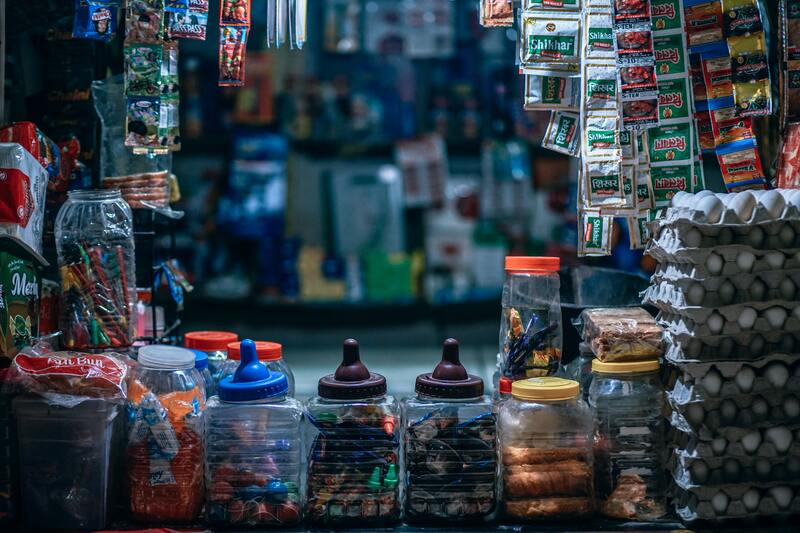 The resilience of store owners, the personalised shopping experience they offer and nostalgia among Singaporeans are probably the only reasons some of these old provision shops still survive today. Hoping to help small family-run businesses modernise is Mr Enam Chowdhury, CEO of EkkBaz. The graduate of Singapore Management University and former technical consultant with Microsoft is no stranger to the trials faced by the demographic he seeks to address. “While at Microsoft, I used to help at our family-based grocery store during weekends. I faced first-hand the challenges that small businesses struggle with,” he told TechNews. The first thing that Mr Chowdhury noticed was that the majority of costs required to run a small family business comes from inefficiency in inventory management and operations. That’s where digitalisation comes in. Mr Chowdhury has developed a business-to-business (B2B) platform that helps link small business owners, manufacturers and suppliers on a single mobile application, the EkkBaz Business app. As much as Chowdhury desires to carry ‘mama shops’ into the future, he recognises the need for his own business to stay relevant as well. This means constantly updating the EkkBaz Business app to better serve his clients. Chowdhury also highlighted the importance of iterating a product with frequent feedback from the end users. “They will highlight improvements for the app that you overlooked,” he said, adding that responding quickly to feedback is just as critical. Going forward, Mr Chowdhury and his team are developing the BAZ Protocol, a more powerful iteration of the current app, targeted at businesses dealing with fast-moving consumer goods. It will also involve the company’s own cryptocurrency, called EKK. “We have already launched EkkBaz Business in Singapore and Bangladesh, and will be releasing it to more markets soon,” he concluded.